Americans take a lot of medications today, far more than any other country. In fact, the total number of prescriptions filled has increased by 85% in the past two decades, according to Consumer Reports. Statistica.com estimates 4.25 billion prescriptions will be filled this year in the U.S. A Mayo Clinic study showed that 70% of Americans take at least one prescription drug and 20% take four or more. What happens when people finish taking these billions of medications? Leftover drugs usually remain in our drug cabinets, sometimes for many years, and this creates a real risk for families. A 2016 National Survey on Drug Use and Health revealed that 6.2 million Americans misused controlled prescription drugs. The majority of these were obtained from family and friends, often found in the home medicine cabinet. The CDC also reported that death rates due to accidental drug poisoning more than tripled from 1999 to 2016 with over 63,000 deaths in 2016. There were over 188,000 calls to U.S. poison control centers from 2000 to 2015 regarding children and teens taking someone else’s opioid drugs. Unless your medications are locked away, inquisitive children can find them. Child-proof caps on prescriptions have reduced the amount of accidental poisonings in very young children, but sometimes these caps are not used due to arthritis in the person using the drug. More than one-third of all medications are taken by seniors. A phenomenon now exists called polypharmacy which is defined as the increase in the number of medications or more medications than are medically necessary. It is estimated that half of all older people take at least one medication that is medically unnecessary. This means even more prescription drugs are stored in medicine cabinets that could be taken accidentally. Coincidentally, 2.9 million custodial grandparents are raising their grandchildren in the U.S. now, more than double the number in 1970. How do you safely dispose of prescription medications? Flush them down the toilet? Throw them away? No. Flushing will introduce those medications into our water supply. Throwing them away could still expose people to the drugs inadvertently. 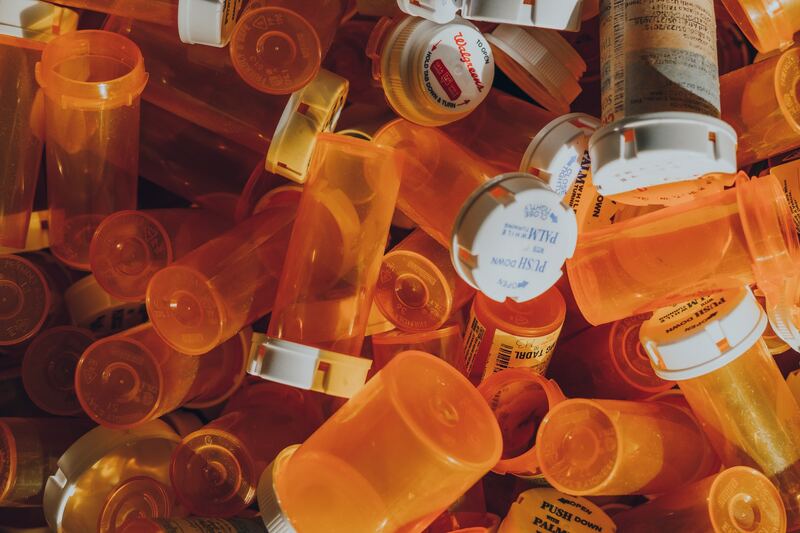 The best way to get rid of unwanted medications is to take them to the U.S. Department of Drug Enforcement Administration (DEA) drug take-back event. The next National Prescription Drug Take-Back Day will take place on Saturday, April 27th from 10 a.m. to 2 p.m. Go to https://takebackday.dea.gov/ to find a participating location near you. Many hospitals, health clinics, county health departments and drug stores participate. Over 450 tons of medications were taken in during the last event in October 2018 at nearly 6,000 collection sites nationwide. Too often, drugs fall into the wrong hands with tragic consequences. Help the DEA remove these medications from your household. Gather all of your outdated prescription containers, obliterate or remove any personal information on the labels and take them to a take-back location near you on April 27th. The event is totally anonymous (no information is collected). Keep members of your household and others safe by disposing of your leftover medications properly.